Indie and niche music lovers eat your hearts out, because the Coachella Valley Music and Arts Festival have released their 2015 line up. The headline acts this year will be AC/DC, Jack White and Drake. Other exciting acts to look out for are, Azealia Banks, Flying Lotus, Raewkwon and Ghostface, The Weeknd, Tyler the Creator, Florence and the Machine and Perfume Genius. 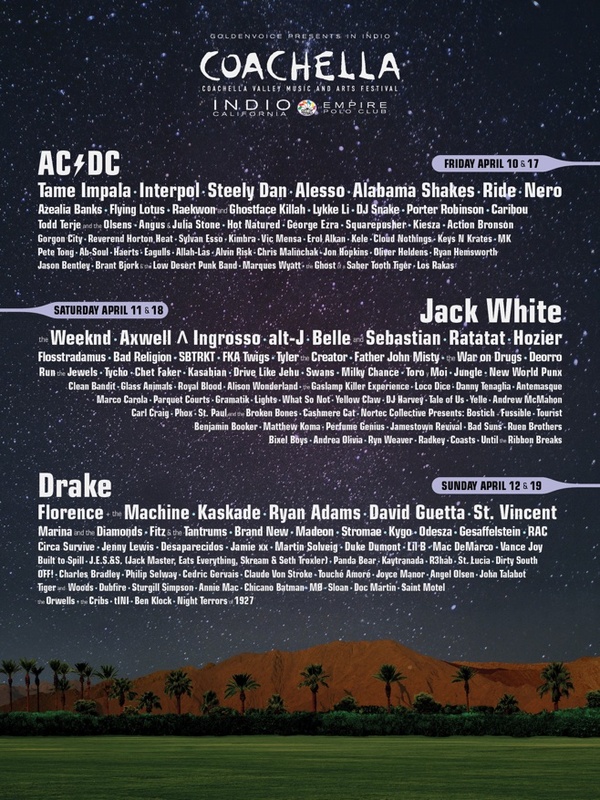 The festival will take place in Indio, California over two weekends from April 10-12 and April 17-19. Next Post Tom Ford For Gucci?